SALE!!! 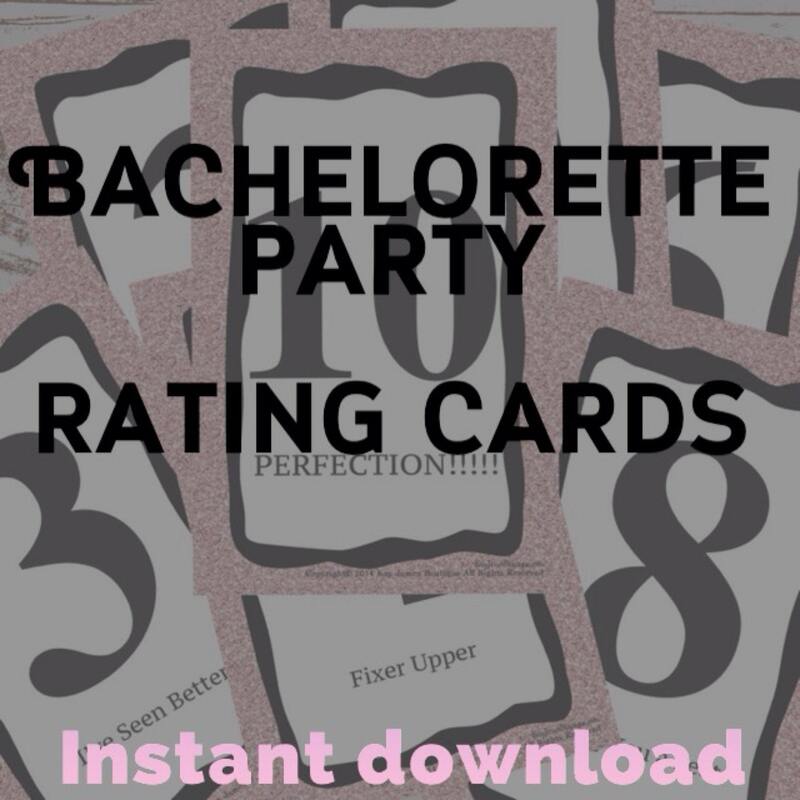 INSTANT DOWNLOAD: Bachelorette Party Hottie Rating Cards. Have a fun filled Girls night out or Hen Party! Bachelorette Party Hottie Rating Cards are a great Bachelorette Party Idea for the bar or club! Let the Bachelorette rate the guys!! This is a great conversation starter for the single girls of the group and an easy way to tell those annoying guys to keep walking. 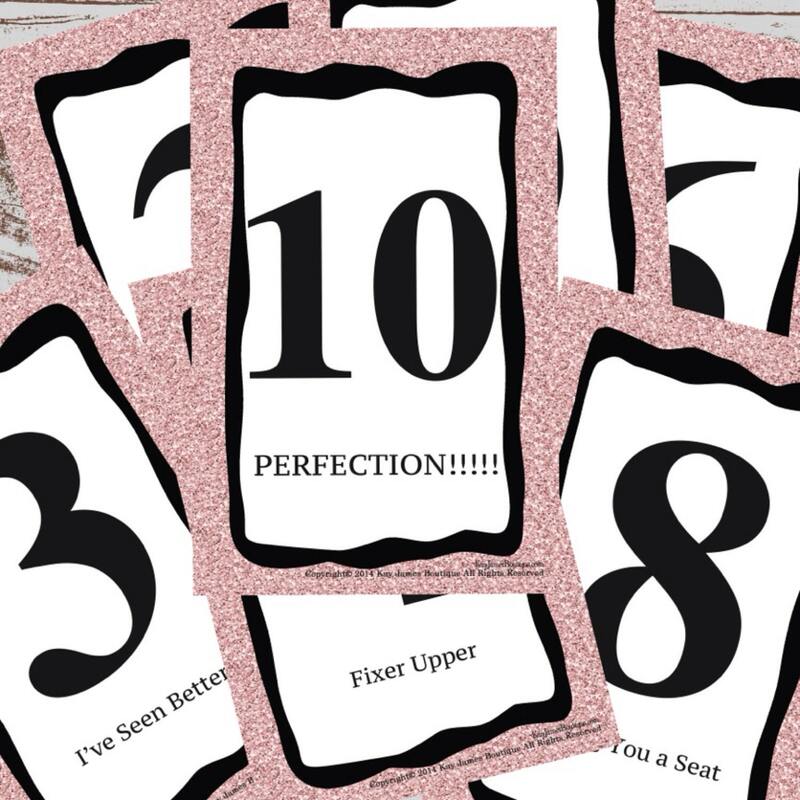 Each card contains a number rating and comment - it's so much fun!! This is an instant download item. Nothing will be mailed to you. You will receive a PDF file with the cards on it. The cards measure 8.5 x 5.5". They will print out two cards per standard 8.5 x 11" paper. They are beat printed on heavy card stock so they can withstand the night of fun!